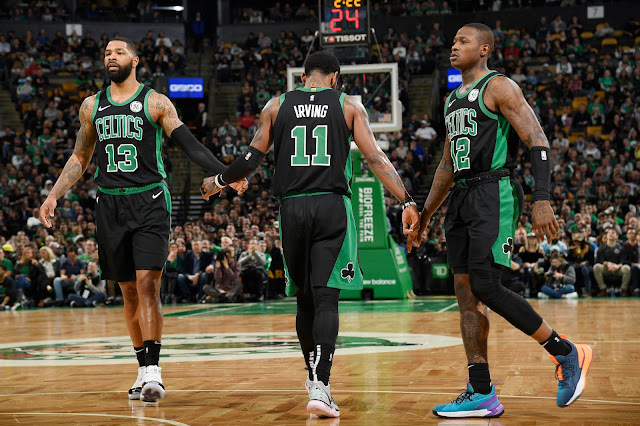 Much like a not-small portion of the fanbase is on the way this season has gone for the Boston Celtics, Kyrie Irving is out in tonight's game against the Cleveland Cavaliers. This is, reportedly, scheduled rest for Irving, or "load management" as the kids call it these days (can we use a euphemism for rest that doesn't sound like taking a dump? ), and not related to his time there with that franchise. While the Cavs are a team looking for the best lottery odds possible, they also aren't making moves to limit their lottery luck with bad lineups of the middling-to-terrible players they have on their roster, either, so another attempt at mailing in a performance could very easily spell another loss for Boston. No Kyrie Irving in Cleveland again, sitting for load management per the Celtics. I won't pretend that's ridiculous at this point, because, honestly, I am not expecting much, and guess you aren't, either. Let's hope a win over one of the worst teams in the league can do something positive for this team, because they really need it right now. If they win, that is.